The first biography of the iconic woman whose name stands for good manners, Emily Post tells the story of a woman who steadfastly recorded the shifting, tumultuous historical epochs that shaped her-and that she helped shape. 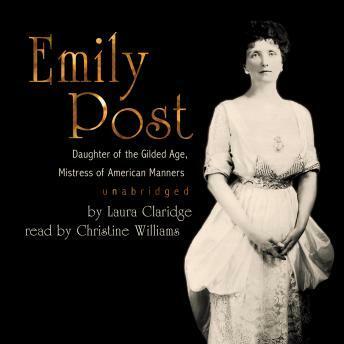 From the excesses of the late nineteenth-century Gilded Age, through the horrors of World War I, to the transformations of the Roaring Twenties that gave birth to her magisterial Etiquette, Emily Post unfailingly took the measure of her era. A Baltimore blue blood with a populist heart, she helped the masses live the American dream with her hugely popular book, which has been continuously in print for over eighty-five years.